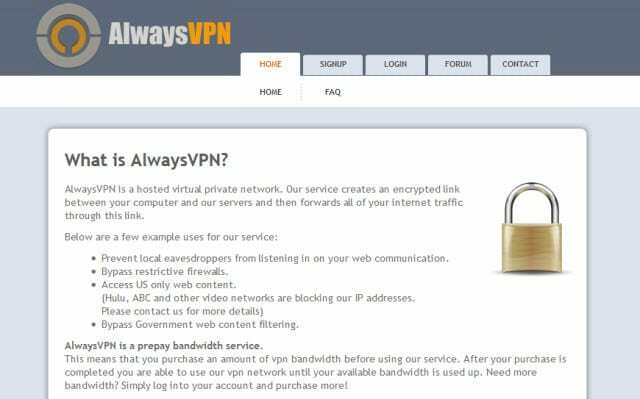 AlwaysVPN has servers located in the United States. They offer OpenVPN on a pay as you go basis. Kind of like a prepaid phone card. You purchase blocks of usage ranging from 5 GB up to 80 GB. AlwaysVPN supports Windows (7, Vista, XP), Mac and Linux. You might read online that the service is ad-supported but that isn’t the case anymore. There are no ads.